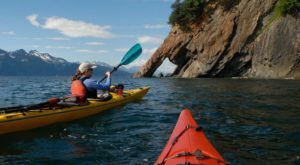 Looking for an easy trail with the best view in Alaska? 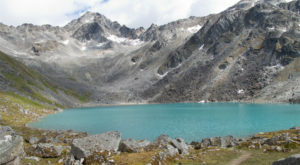 The Anchorage Overlook Trail (sometimes known as the Glen Alps Overlook Trail) is a perfect option. 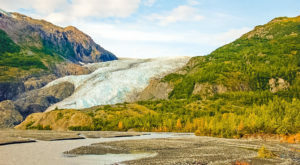 With shuttles running from downtown Anchorage if you need, this is a great morning or afternoon excursion for the whole family. 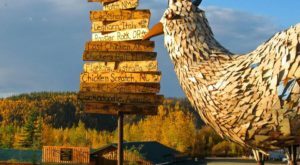 It is family friendly, handicapped accessible, and even has some of the cleanest outhouses in Alaska. 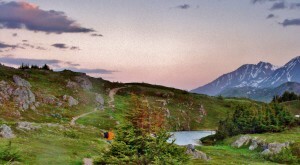 The trailhead is an easy 20 minute drive from downtown Anchorage. 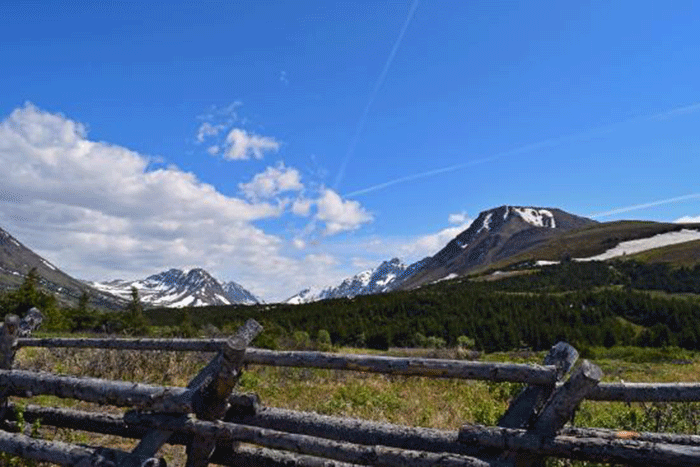 Even the drive up to this wonderful trail can be an adventure! Taking the Glen Alps Road, you head up through the mountains before hitting the parking lot of the Glen Alps Trailhead. The parking lot services a number of trails! From Flattop, to Blueberry Hill and numerous others, the view from the parking lot alone can be worth the trip. 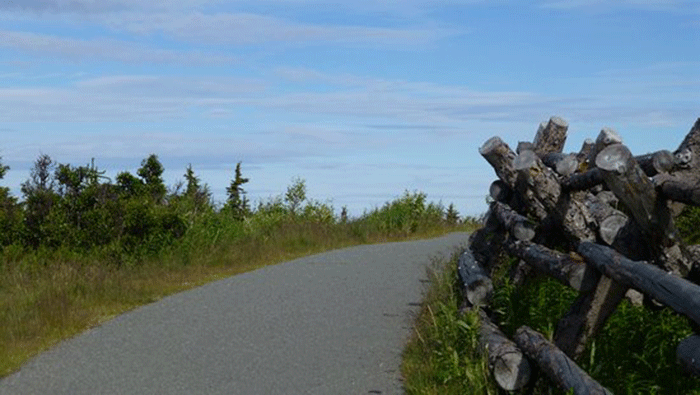 The Anchorage Overlook Trail is a gorgeous half mile paved loop. This trail is easily accessible and located right next to the parking lot, and the parking fee is only $5.00. The entrance to the trail starts right at the edge of the parking lot. While many of the other trails offer mountain biking options, the Anchorage Overlook Trail prohibits this. 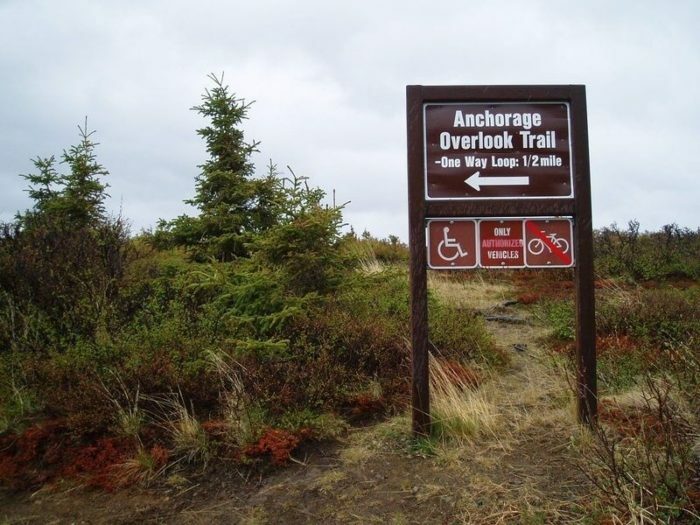 The trail is handicapped accessible, and ends in a viewing platform where the entirety of Anchorage is spread out beneath the mountains. There are plenty of informative signs throughout the trail to tell you more about the views you're seeing. They'll be placards detailing which mountains you may be looking at; for instance, on a clear day you can see the largest mountain in North America! The profile of Denali, Foraker, and Hunter is an impressive view on a bluebird day. The views are spectacular in all 360 degrees! 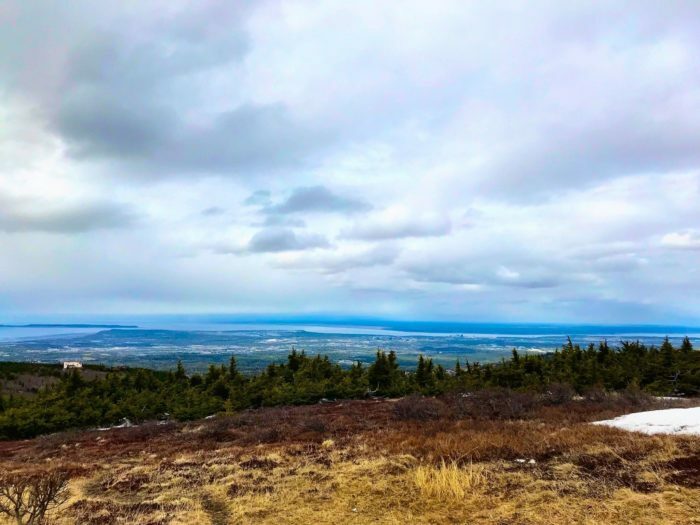 With the Cook Inlet to your left, the Alaska Range towering 100 miles in the distance over downtown Anchorage, and Flat Top Mountain and the Chugach National Park behind you, it's hard not to be overwhelmed with all of the amazing views. As you gaze into the Anchorage Bowl beneath you, it's impressive to think you're gazing at the largest city skyline within 1,000 miles! Beyond Anchorage, the body of water lying right next to it is the Cook Inlet. If you gaze to your left, you will see the Tordrillo Mountain Range, and southeast of that, the two active volcanoes of Redoubt and Iliamna. These frequently have plumes of smoke rising lazily from them! 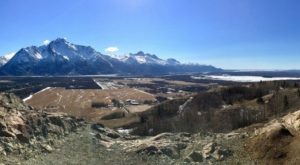 If you can't get up to the Anchorage Overlook Trail during the day, that's okay! In the summer you'll be greeted with 24 hours of daylight, the darkest time of night more like twilight than true midnight. The city of Anchorage will still glow for you. In the winter it's equally gorgeous. 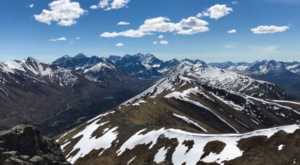 If you can get there within the daylight hours, (conservatively 11:00 a.m. through 3:00 p.m.) the mountains will be draped in hues of white and purple. If you're there in time to see the sunset, you may be treated to some gorgeous alpenglow! The trip back to the parking lot, if you take the loop, does have a gravel section. If you need the paved trail, you can turn around and head back the way you came in. If you decide to follow the loop, it turns into a gravel path that descends down by the second parking lot. Keep your eyes peeled, as lots of moose like to hang out within sight of this path! It’s hard to run out of things to do in this area. If you’re looking for a more challenging trail, head across the parking lot to the infamous Flat Top trail! The views are even better than this overlook, if you can believe it. Looking for somewhere to grab a bite after your adventure? 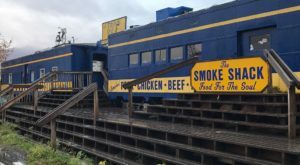 Locals head to The Pizza Parlor In Alaska That’s Been Called The Best In The Country.